The Thanksgiving Holiday Weekend (November 22-25, 2018) in Asheville and the North Carolina mountains is a feast of fun. Here are our top things to do. Of course, eating is number one! Since it's one of our busiest weekends of the year, be sure to make lodging and dining reservations well in advance! Also see our Top Holiday Outings. For Christmas Day Restaurants open in Asheville, see our Christmas Guide. While many Asheville area restaurants are closed, there are still many great local choices for a brunch, lunch or dinner on Turkey Day. Click on the names to go to their web sites. Prices & hours often change a little, so check with the restaurant. Greystone Inn: Dine waterside on Lake Toxaway near Brevard at this luxury resort. 3-course dinner with 3 options each, $55/person, 12-5 PM. Mountain Magnolia Inn in Hot Springs, Thanksgiving Harvest Dinner served from 11 AM-5:30 PM inside historic inn. 3-Course Prix Fixe $60, 5-Course Prix Fixe $70, Children Under 12 with 3-Course Prix Fixe $25; Under 6 free. Tryon International Equestrian Center, buffet at Legends Grill, 11 AM-4 PM, $32.95/adult & $15.95/children. Also available at their Lodge on Lake Lure. Call 828-863-1000 for reservations. Cornerstone (102 Tunnel Road, Asheville) is our favorite diner in town. They will have several specials with choice of sides. 7:30 AM-9 PM. No reservations accepted. Holiday Packages / Places to Stay: See our holiday vacation packages page for the latest holiday vacation packages, deals and specials. Also see our list of the bests hotels, bed and breakfast inns and cabin rentals in Asheville and the surrounding Blue Ridge Mountains of North Carolina. Make reservations early! Biltmore Estate: The Biltmore House is open for tours on Thanksgiving Day. All estate restaurants (see above) are open. It's a busy weekend on the estate, so get tickets well ahead. They usually sell-out for the entire weekend. 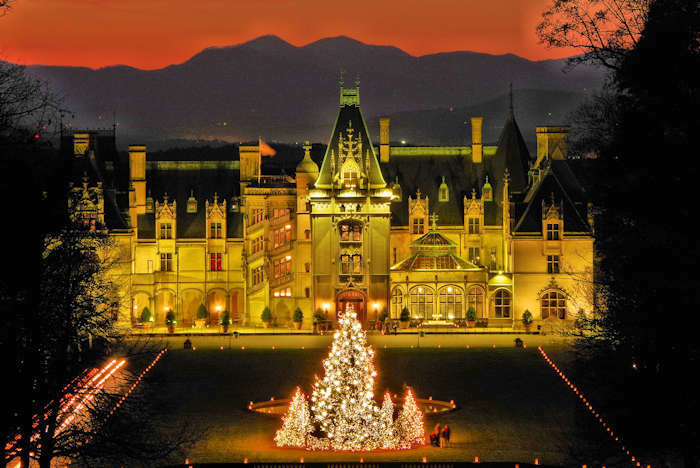 See our Christmas at Biltmore Guide. 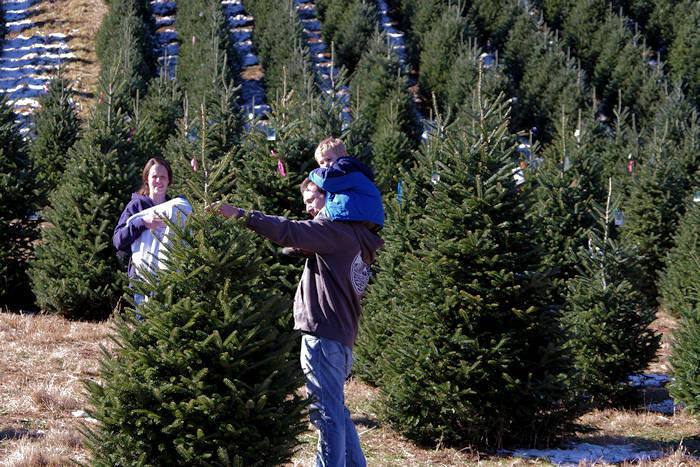 Pick your Christmas Tree: Go to a "choose and cut" Tree Farm to pick the perfect one for your home on Friday, Saturday or Sunday. All are closed on Thanksgiving Day. Many farms offer hayrides and other activities. 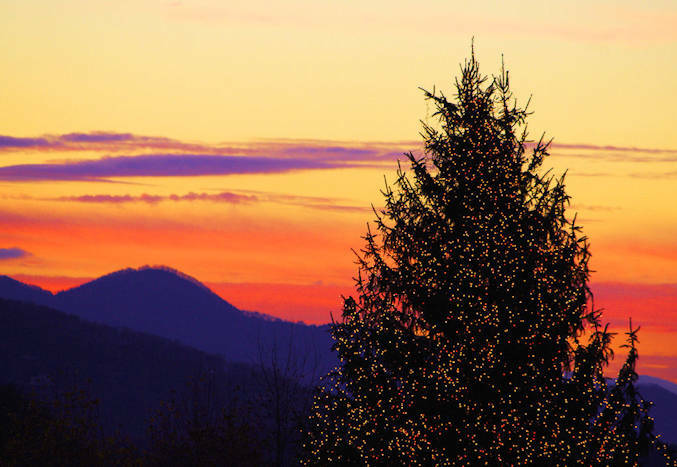 See our Asheville Christmas Tree Farms Guide. Asheville Outlets: The 70-store Asheville Outlets Center will be open on Thanksgiving Day from 6 PM until 2 AM, Friday & Saturday 9-9 and Sunday 11-6. Free pics with Santa. Read more. Downtown Asheville: Most all downtown stores are closed on Thanksgiving. But there's plenty of holiday shopping on Friday and Saturday to find those special gifts. Browse through more than 200 shops, 30 art galleries and a dozen antique stores. Free parking on streets and city parking decks on Thanksgiving Day and Friday. See our Downtown Asheville Guide. More Shopping: Biltmore Village is home to more than 40 shops in historic cottages and buildings. Asheville is a mecca for artists, so this is the place to find one-of-a-kind gifts. Head to the Folk Art Center and the River Arts District. See our Gallery Guide. Also see our Antique Shopping Guide. Small Towns: If you prefer the quaint small towns and friendly "Mayberry" Main Streets, explore our cool small towns throughout our mountains. Get Outdoors: #optoutside! Take a late fall hike and enjoy views through with leafless trees, cool temperatures, and few fellow hikers. See our hiking guide for top picks. All trails and waterfalls in the National Forests and Parks are open every day. Green Friday at Adventure Center of Asheville (near downtown): Ages 4+ zip at KidZip or climb at Treetops Park. Ages 10+ ride Zipline Canopy Tours as well as advanced challenges in the Treetops Park. 50% of all revenue donated for environmental causes in WNC. Some ski resorts will open if weather is cold enough. 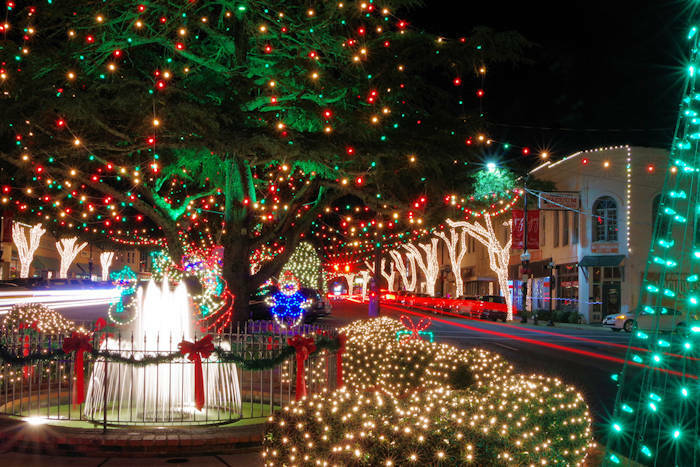 More Happenings: See our Top Holiday Outings for more things to do! Take a free self-guided driving tour of the galleries and working studios of Graham and Swain Counties and buy arts and crafts directly from the artist. Pick up a map at the Stecoah Valley Cultural Arts Center near Fontana Lake. 10 AM-5 PM. Main Street twinkles with thousands of lights with many festive events including carriage rides, parade, Broadway shows, tours, ice skating and fantastic shopping. This quirky exhibit in downtown Brevard features dozens of vintage aluminum Christmas trees and ornaments inside the Transylvania Heritage Museum. A fun trip back in time. Wed-Sat. Free admission. Tour Asheville's oldest home at the Smith McDowell House, decked out with decorations from the Victorian period. Located just a few miles from Biltmore and downtown. Open Wed-Sat. Dazzling new production featuring favorite holiday songs with an all-star cast from across the USA, Studio 52 Students, Playhouse Chorus and dancers of all ages. Near Hendersonville. Mountain Music & Dance Camp: Bannerman Folk Camp in Black Mountain is a Thanksgiving weekend (Nov 22-25, 2018) tradition in the Blue Ridge Mountains where you dance, play, create, and spend time in inter-generational community. The focus is on traditional styles of recreation and music. Dancing includes contra, international, novelty, and big circle. Also enjoy crafts, hiking, outdoor games, live music and more. 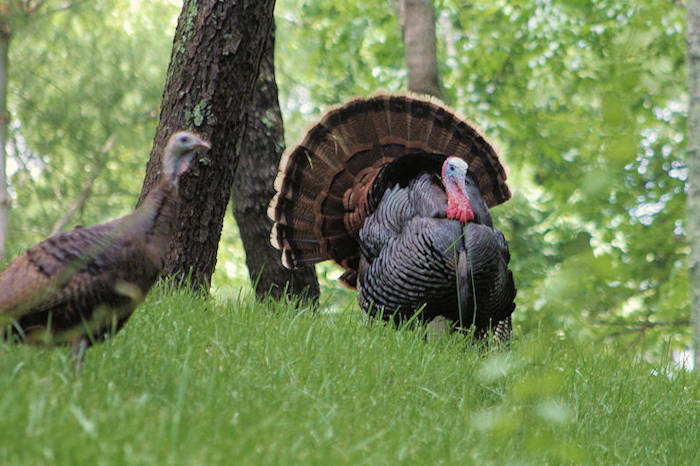 Registration with Thanksgiving dinner, meals and room for 3 nights: $710/couple. Go to their Web site.